Summer vacation might seem like it’s still a million miles away. But spring break will be here before you know it, and that calls for a getaway! This is the perfect time to start looking for your next destination to explore. It’s nice to get a break from the cold if you live in a snowy climate like we do! As a dog parent, one of the primary concerns that arise when planning a vacation is what to do your pet. The most significant consideration is whether or not to take them with you. If you aren’t bringing them, you then have to consider is if there is someone that you can leave them with. If not, you’ll need to research nearby boarding options for while you are away. If you’re planning to board your dog at a kennel, click here for helpful tips before dropping them off! 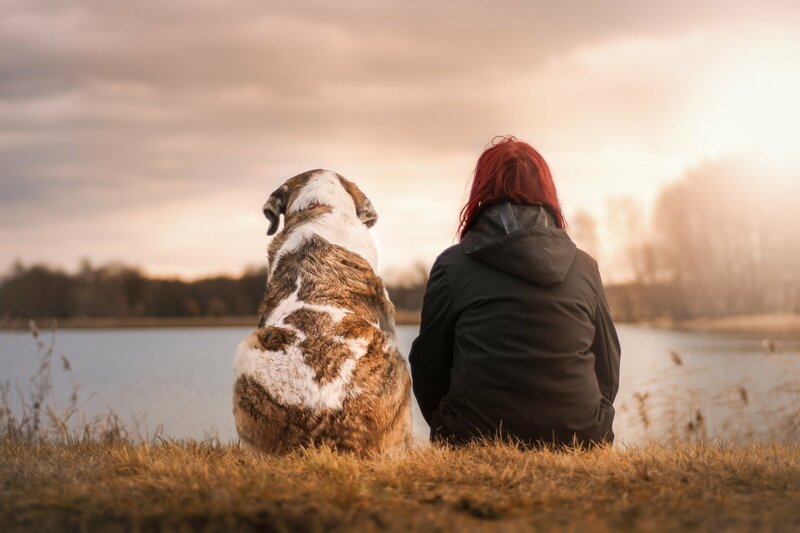 If you can’t imagine having an enjoyable break without your dog, why not consider planning a pet-friendly vacay? 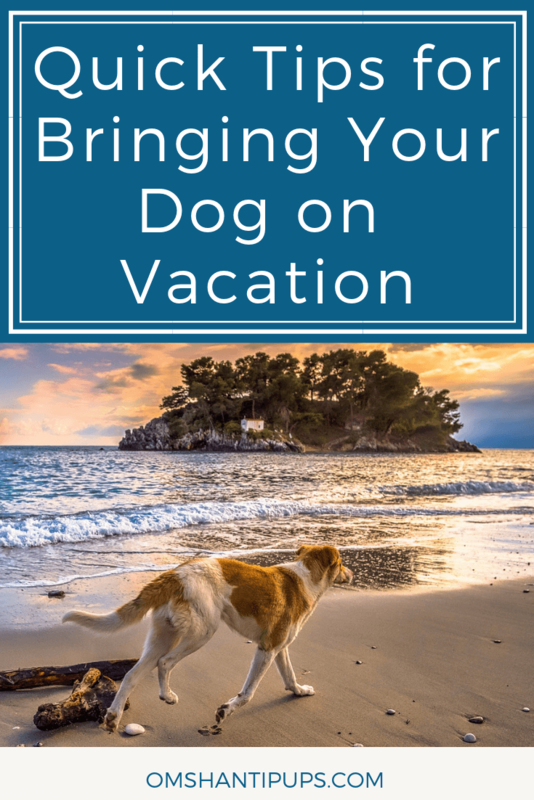 Taking a pet on vacation isn’t always as easy as you might hope, but it’s definitely manageable. When we had our Ginger girl with us when living in Florida, we would take her on pretty much every road vacation. She was a great traveler and loved staying in new places! Here are some quick tips to help you plan a dog-friendly vacation. You might be longing for some warm, sunny beach days, but will your dog enjoy that? Try to choose a destination that will suit their needs, making sure there is plenty for them to see and do, and that it’s not too hot or cold for them to be comfortable. You should also double-check with any hotels that you are looking at to make sure dogs are allowed. Don’t just assume a “dogs welcome” badge online means that they really are. That could mean having to pay for a different hotel at the last minute, so it’s best to do the research well in advance. You’ll also want to find out what facilities they offer, such as a dog-walking area. In addition, find out if your dog will be allowed to stay in your room without you, and if they need to be in a dog crate while you are away. Your dog should have its own packing list, just like a member of your family. Shop for pet supplies online to stock up on items you might not be able to get at your destination. Be sure to pack all of the essentials that they need on a typical week. Bring plenty of dog food, along with their favorite snacks. A Kong and their Easy Treat Filling is great for an interactive treat after a long day! A new location can cause distress for some dogs. Ease this with some home comforts like their favorite toys or blanket. You can also give them a bit of CBD oil to calm any anxiety they may have. See all the benefits of CBD oil here, or shop below! Depending on where you are going, your dog might need specific vaccinations, and a possibly even a pet passport. If they are flying with you, they’ll need a health certificate. These generally need to be dated within 10 days of travel, so check with the airline to confirm. This is also a good time to refill any prescription medicine your dog may be on. Even if these aren’t required, it’s a good idea to head to the vet for a thorough check-up before you leave. Your trip isn’t just about the hotel. When you arrive, what is there for your dog to join you in? GoPetFriendly.com is a fantastic resource for finding all kinds of dog-friendly restaurants, events, and hotels. That way you don’t just assume that they’ll be allowed to go to places, and visit spots they’ll be happily welcomed! You’ll also want to search for a nearby vet, in case of emergencies. It’s easier to find one and have their info saved on your phone and not need it, than it would be to frantically search in the middle of an emergency situation. Finding a local dog park nearby is another great idea. That will allow them to explore, take in new scents, and even make new friends! 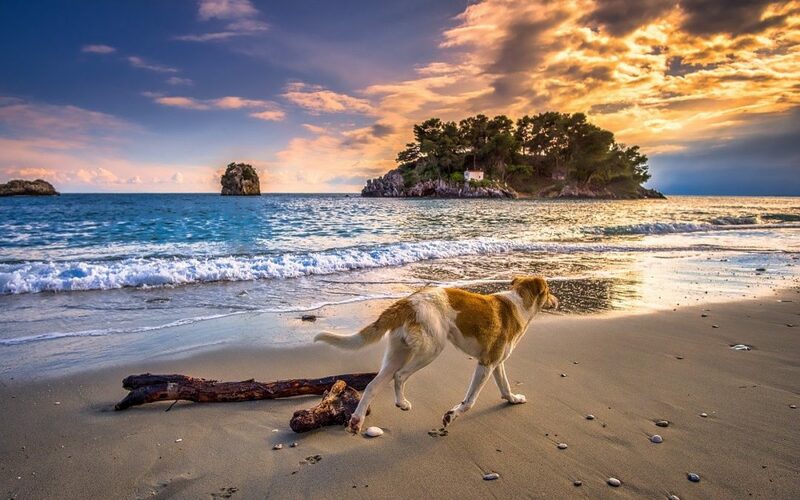 What’s your favorite spot to bring your dog on vacation?